Completely Remanufactured and Upgraded. For all 6.5 C/K trucks 94-00, G/P Vans 94-03, 96-05 H1 Hummers. Warranted 1 year, unlimited mileage. Completely Remanufactured, Upgraded and Warranted 1 year. 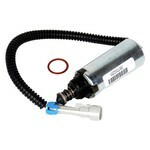 Fits 1994 (only) C/K 2500 and 3500 series trucks with the DS4-5068 pump ONLY. Completely Remanufactured, upgraded, warranted 1 year. Correct for 92-93 6.5TD's in C/K trucks and G Vans. Completely Remanufactured, upgraded, warranted 1 year. Correct for 94+ 6.5 NA G/P Vans and trucks. 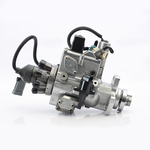 6.5 Injection Pump Drive Gear for all 6.5's, all years, all vehicles. 6.5TD ECM (computer) for all 1994 C/K trucks and G/P Vans, Suburbans and Tahoes. 6.5TD ECM (computer) for all 1995 C/K trucks and G/P Vans, Suburbans and Tahoes.